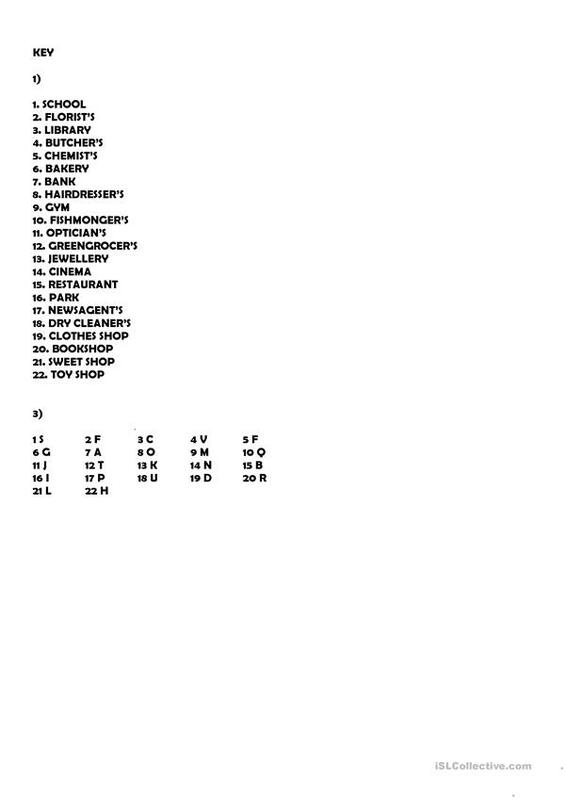 22 pictures, 22 sentences & a list of 22 places in town. 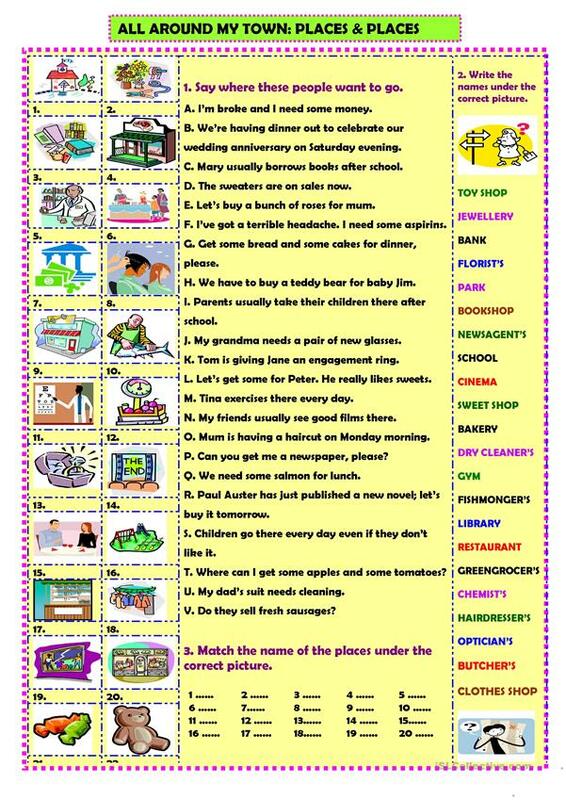 The students have to: write the names of the places under the correct place & 2: match the sentences and the pictures. This downloadable printable is meant for elementary school students at Elementary (A1), Pre-intermediate (A2) and Intermediate (B1) level. It is focused on the theme of Places. The answers are provided, too.